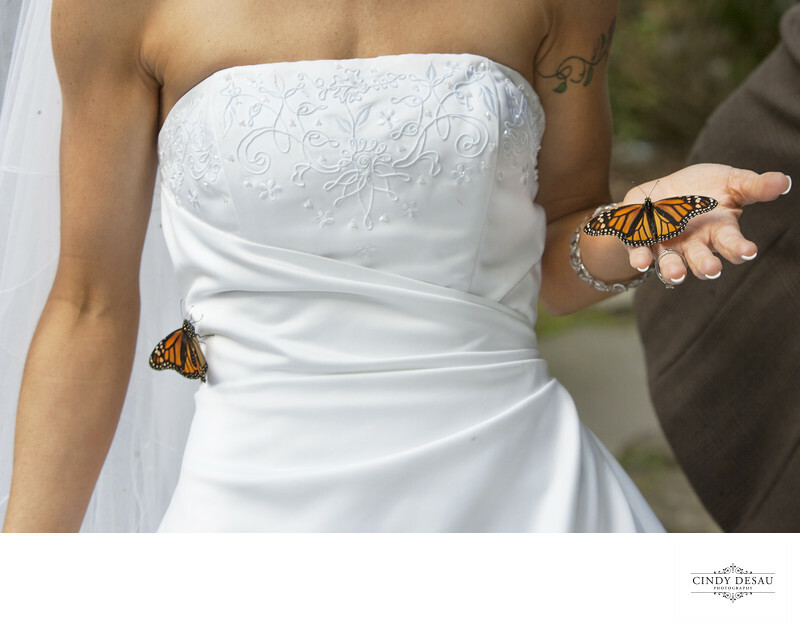 Have you ever seen butterflies land on a bride on her wedding day? I have! These butterflies flew to this bride and landed on her gown, and stayed! She held out her hand and a monarch butterfly landed there. This all made for some very cool and unusual wedding photographs.